I forgot that while being able to hide in my cube now that I have a smaller opening (yay, filing cabinet! ), that also means a smaller opening for them to close me in. 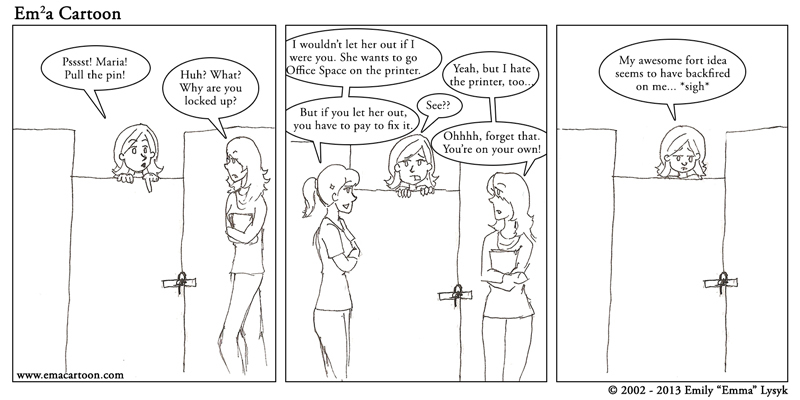 I freaking HATE that printer. It’s a Bob Marley printer.